Technology is always adapting and changing. Those changes can be costly if you don’t have a plan for keeping up with the times. 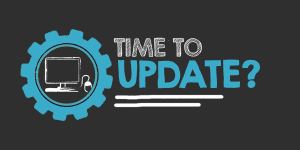 A lot of business owners delay updating technology and equipment. They fear the cost, but vintage tech could be costing your business more than a shiny new setup. There are several unexpected costs associated with outdated technology that could sneak up on you. 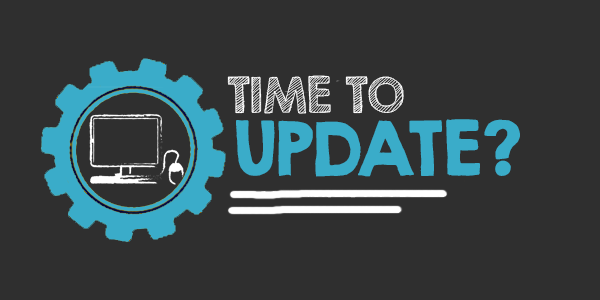 Compatibility Issues: New versions of software are released often, and old drivers may have issues updating to newer software or operating systems. Compatibility issues can be time-consuming and costly to troubleshoot. Out of Date Servers: there are a variety of costs that could pop up because of an aging server. Support calls for issues such as lack of drive space could increase, and an out of warranty server could result in a network or motherboard failure. A failure would mean no email or network access for your entire company. A crash like this could take several days, and dollars, to get everything up and running again. Old Hardware = Slow Hardware: Older equipment can take time to get booted up and running. While new computers take 1-3 minutes to start up and log in, old systems can take 5-10. This time can add up and detract from your employee’s productivity. Hardware Failures: Replacing a failed component in a dated computer can be expensive and time-consuming to find. Planned equipment replacements can be half the cost of an unplanned trip to Best Buy because retail computers are generally aimed to fit the needs of home users and are not set up for business networks. Networks Unlimited can help your business stay up to date and get your office equipped with the technology you need. Our Managed IT Services proactively monitor your servers and equipment to avoid pricey and unexpected repairs or replacements. Contact us today to learn more about our services!